How much do you know about food labelling? If you are making and selling food or drink products, you need to ensure you include all the relevant and legal information on your labels. Big food and drink brands have internal legal and design teams who spend weeks working on label designs and copy. But as a small business owner this isn’t possible. We have spoken to an expert in food labelling, Julian Edwards, FCSI to find out more about this topic so you can apply this insight to your own designs. Julian is a foodservice consultant who started working in the catering industry nearly 35 years ago and learnt about labelling the hard way as he had to deal with allergenic and dietary needs in Meals on Wheels and care home catering. Tell us about the importance of a food and drink labels when it comes to selling products. It is absolutely critical. With today’s discerning clientele, regardless of the quality of the product and taste, they simply won’t sell as well as they should if the labels are not designed in the right way. 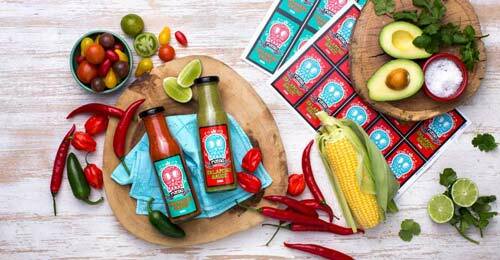 Why should small businesses spend time thinking about their food label designs? Laws don’t just apply to big businesses so despite being a small business, you absolutely must adhere to the regulations concerning labels. If you don’t, then your business simply won’t be able to grow and you may face legal implications. 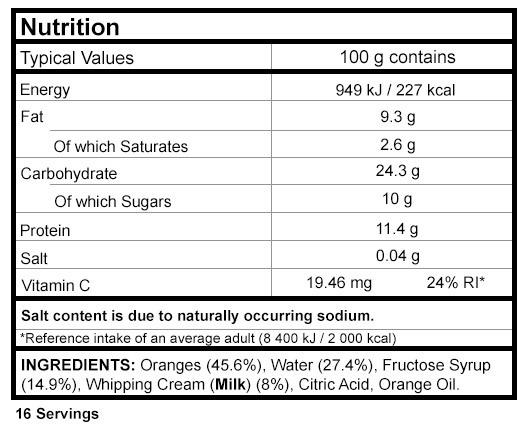 What information must be displayed on a food label? At the very least, the full ingredients list and full additive names are a requirement not just the E-number. Ingredients that are listed in the top EU 14 allergens must be highlighted or displayed in bold. In addition, any precautionary allergen labelling should be near to the ingredients list. There will also be core nutritional information that has equal importance. The fundamental information on every food and beverage label must be a ‘use by’ date. Also, dependent on the product, it should have an advisory note on how it should be handled, stored and prepared. And of course, it must have the name of the product and brand on. It is also good management practice to include, either on the label or packet, the batch number or serial number for quality assurance purposes. In some particular instances, you might be able to omit such information. For example, including the full ingredient list and the core nutritional information is not mandatory for beverages containing more than 1.2% by volume of alcohol. What additional information would you recommend businesses include? A description of the product and recommended uses or a suggested recipe. This is especially important for a new product. You could also include a ‘this product goes really well with’ message to help your customer taste it at its best. To make your labels even more customer friendly, I would recommend a helpline number direct to you as the business owner or someone else who could help. Any disclaimers or statutory rights statements should also be included. Whilst you need to include the full additive names legally, it is also helpful to put on the actual E-numbers as these are often easier for a customer to look-up than typing the full name. What order should the ingredients be displayed in? The ingredients must be displayed in order of quantity, so the main ingredient should be featured first. This is the same when displaying allergen information, but make sure these are displayed in bold or highlighted in some other way. What is the difference between a best before and a use by date? The use by date is the definitive date that the product must not be consumed after. Whilst, the best before date is a guide by the producer as to when the product will start deteriorating in quality, but would still be safe to consume. What safety information should be included on a food label? You should include the temperature the product must be maintained at and details of when the product must be used by once opened. You should also include a note asking consumers to return the product if the packaging has been damaged. If small businesses would like more advice on food labelling or to check their designs meet legislation what should they do? Your first port of call is the British Retail Consortium. I would also access the Food Standards Agency food manufacturing section on their website. To be Allergen Accredited, you need a risk assessment to back up statements such as ‘May Contain Nuts’. If you are selling into the foodservice sector, check with Allergen Accreditation https://www.allergenaccreditation.co.uk/ as to what the full allergen disclosure procedure is. Thank you to Julian for sharing so much valuable advice for small food and drink retailers. 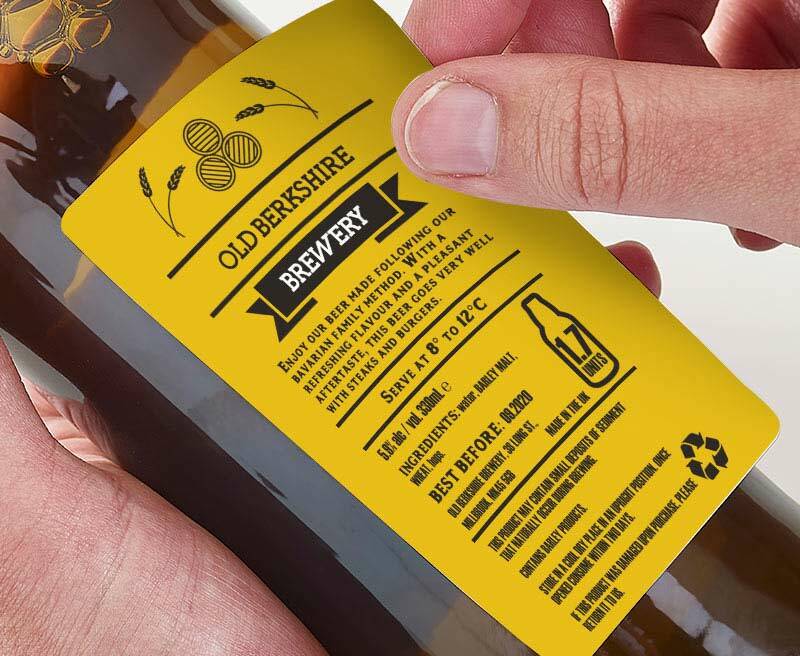 You can design labels for your products using the WePrint software and we will print and send the labels directly to you. Make sure you use this information and the findings from our label research to help you sell more of your products.